This information applies, if you have a GSM unlocked phone. 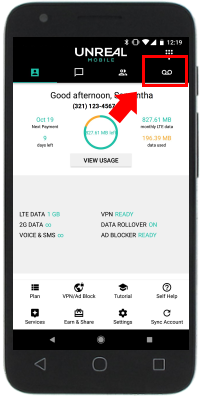 You can access your voicemails by clicking on the voicemail tab within the UNREAL Mobile application. Step 1: Make sure you have downloaded the UNREAL Mobile app from the Play Store (Android) or the App Store (iPhone). Step 2: Complete the setup process, and grant the application all of the required permissions. 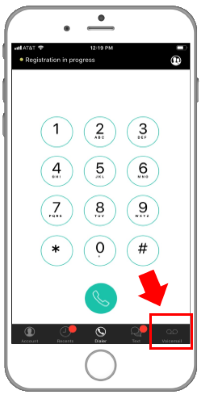 Step 3: Then, switch to the Voicemail section of the app to receive and manage your messages.